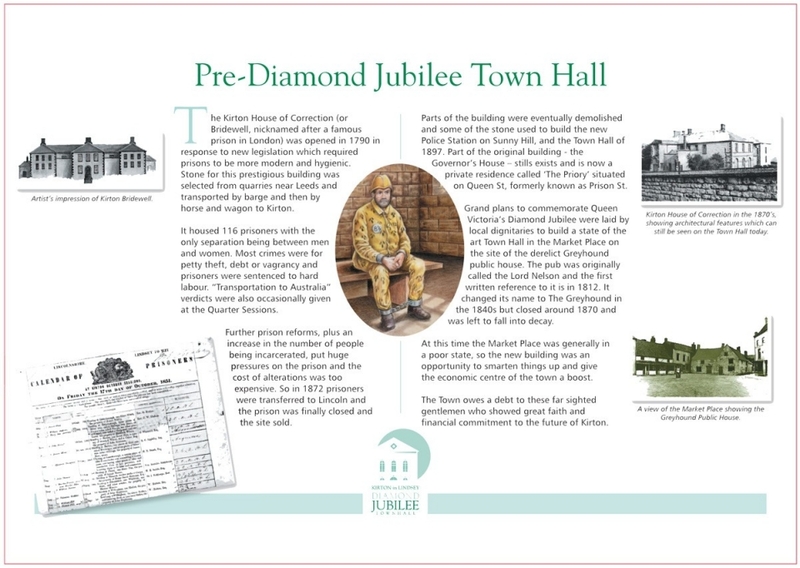 The Diamond Jubilee Town Hall was built on the site of the Greyhound Inn in 1897 from material which was originally the Court of Quarter Sessions of the Kirton in Lindsey House of Correction. Click the board above for a larger version. 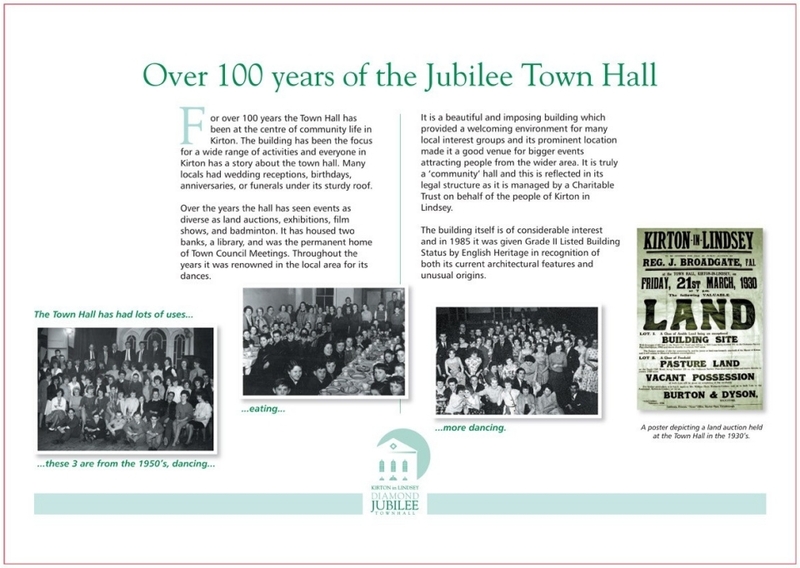 The Town Hall is a Grade II listed building in the conservation area of the Market Place. 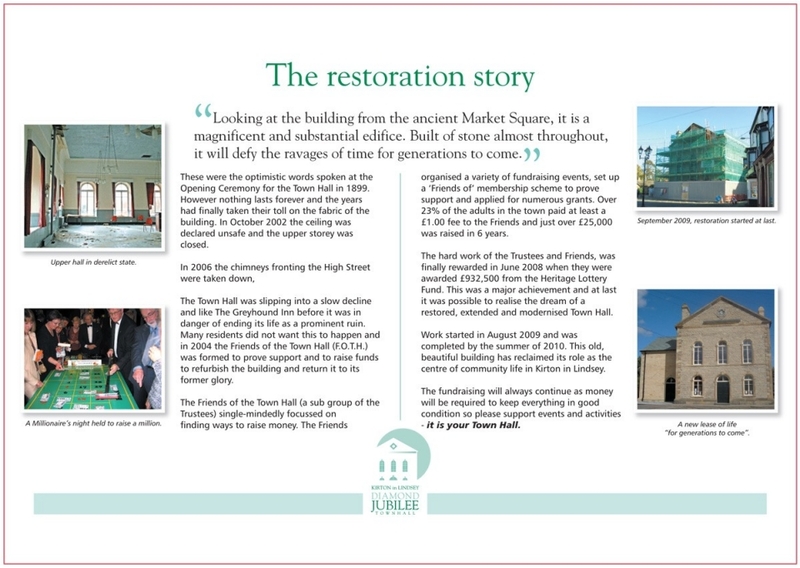 It was built to commemorate Queen Victoria’s Diamond Jubilee and dominates the Market Place. 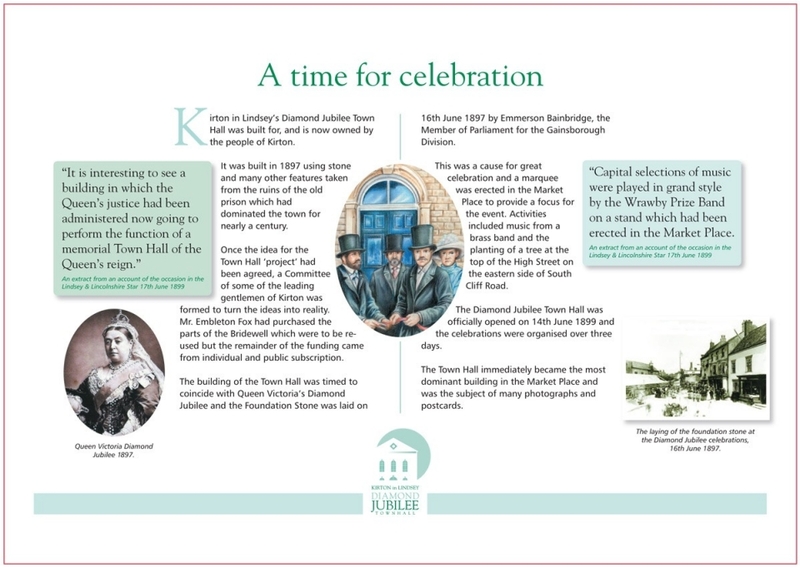 The original Trustees and Guarantors of the Hall were local prominent citizens of the time. 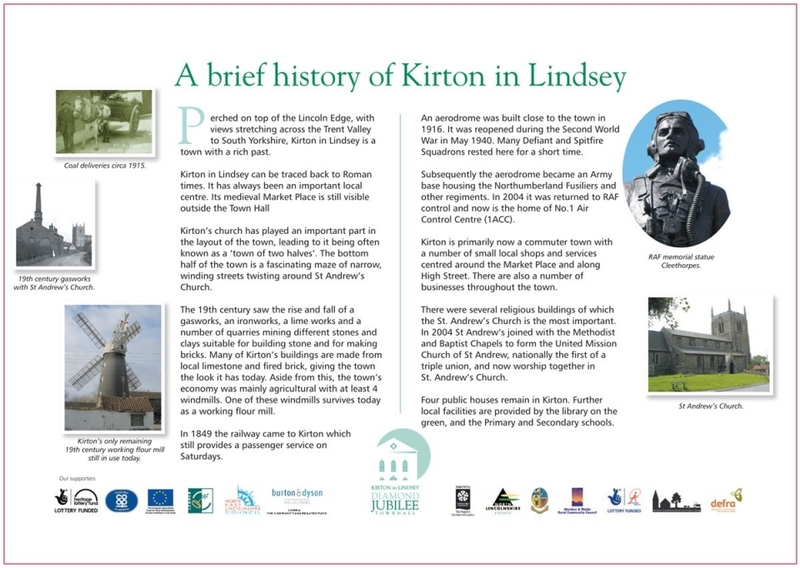 The Town Hall, built in the Palladian style, must have been a marvellous sight when first completed; further confirming the importance of Kirton in Lindsey at that time. Simply click on the image below to buy our Walk Leaflets. Error: Error validating access token: Session has expired on Saturday, 23-Mar-19 02:32:21 PDT. The current time is Thursday, 25-Apr-19 19:38:34 PDT.